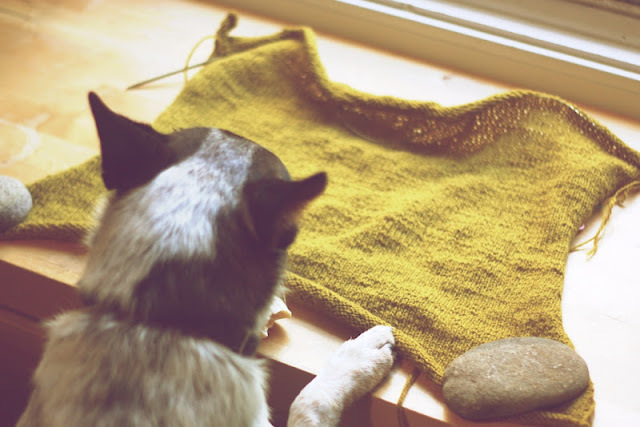 This week's work was more stockinette for the front, all the way up to the neck shaping. 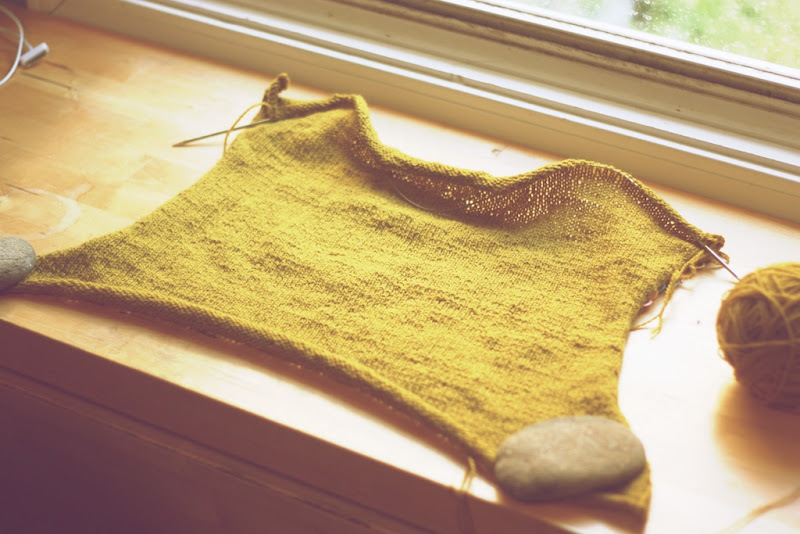 It knitted up much faster than the previous week, leaving me time to work on another project in my bag. I'm really trying to watch my gauge, because I don't want this tank to turn out too loose. I once read on someone's blog that most people make their sweaters too loose and should instead knit down a size from what they are used to knitting if they want a better fit. I've taken that to heart, especially since I have some older sweaters that only began to fit me well in recent years because I've gained a few. Apparently, the Holla Knits patterns are working for me because this is my third to begin and I'm making at least one more from the first emag before winter. I was reading about the designers of the upcoming winter emag and seeing that several are new to design. That's encouraging because I think I'd like to design my own patterns in the future. Only, there just seems to be so much good stuff out there that's already been published for me to make that I haven't found time to create anything. Well, anything but one cowl that was really very simple. 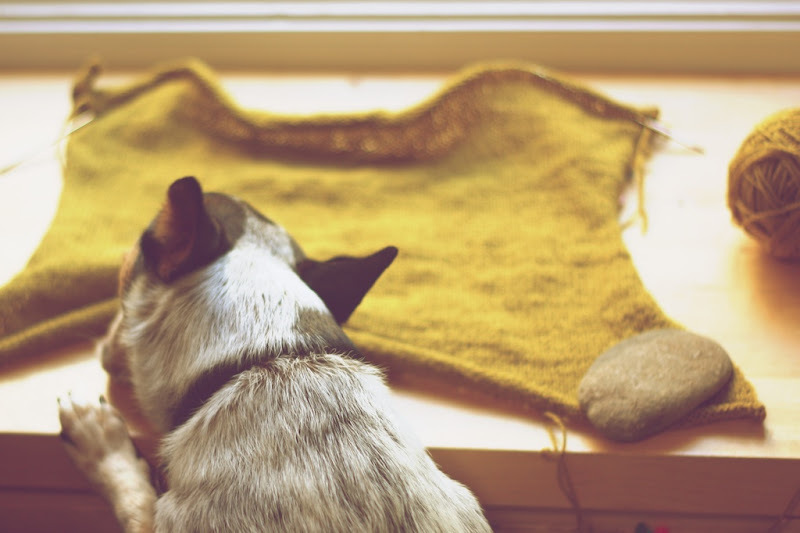 This Knit Along has proven itself animal friendly. I cheated by planting Spotticus' rawhide in the photo so he would pose. If my finished object photo is one of my lab wearing this tank, don't be surprised.